In this association, we can have a foreign key column in MARKS_DETAILS table i.e student_id. This column will refer to primary key of STUDENT table. This way no two Marks Details can be associated with multiple students. Obviously, Marks Details needs to be unique for enforcing this restriction. The example below in this post demonstrates this asscociation. In this association, we can have a common join table lets say STUDENT_MARKS_DETAILS. This table will have two column i.e. student_id which will be foreign key referring to primary key in STUDENT table and similarly MARKSID which will be foreign key referring to primary key of MARKS_DETAILS table. Create Model Classes As a next step let’s create the model classes Student.java and StudentMarksDetails.java using Annotations. Also we have added the Annotation based entity classes Student.java and StudentMarksDetails.java to the above file. 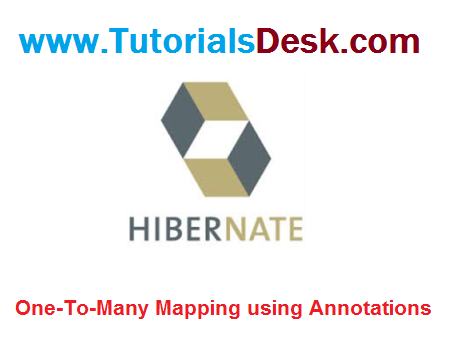 Hope we are able to explain you Hibernate One-To-Many Mapping Using Java Annotations, if you have any questions or suggestions please write to us using contact us form. (Second Menu from top left).